With the rapid evolution of Technology into the Modern World, it is vital that we prepare our students for the technological future. Distance Education students are currently effective "drivers" of digital systems, but do your students have the skills, knowledge and understanding to be"mechanics" of these digital systems? As Capricornia School of Distance Education started to implement the new Technologies Curriculum, there was a demand to build capacity in staff, Home Tutors and students. In the Primary sector, exposure to topics within the Technology subjects was limiting until students reach grade 7, where Digital and Design Technology is taught in online lessons. As the Tech Ambassador, I needed to address this curriculum knowledge and skills deficit. To bridge the gap,my goal was to create a Whole School Curriculum Plan for around the Technologies Curriculum to ensure alignment and cohesiveness across the entire school. I lead a STEM committee to develop The Capricornia School of Distance Education STEM Curriculum Plan. 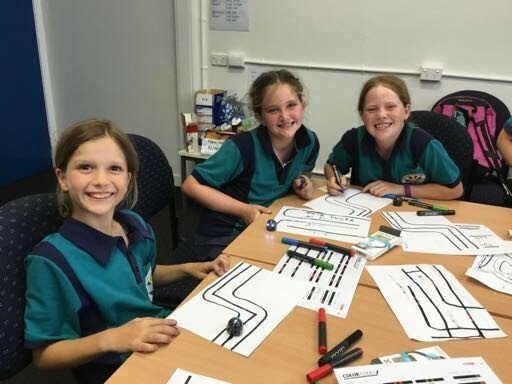 The Capricornia School of Distance Education STEM Curriculum Plan is a practical guide of howto implement a successful STEM Program into a Distance Education Setting. It effectively combines Australian Curriculum subject content and general capabilities relating to STEM disciplines. The Curriculum Plan includes supporting resources for staff and students to extend their knowledge and understanding at their own pace. This program is successfully run at Mini-Schools to provide hands on activities that teachers can immediately apply with their students.